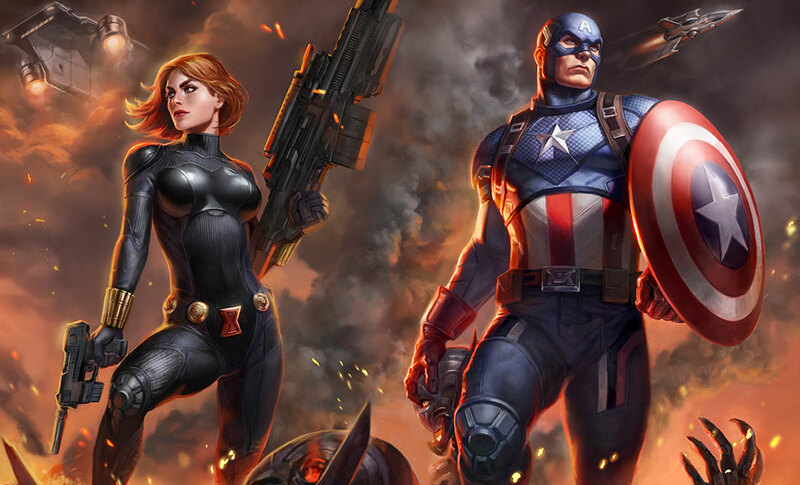 Assembled, we are strong! Sideshow is proud to present the Captain America and Black Widow Premium Art Print by artists Alex Pascenko and Ian MacDonald, featuring the ultimate heroic team up against the onslaught of Ultron. 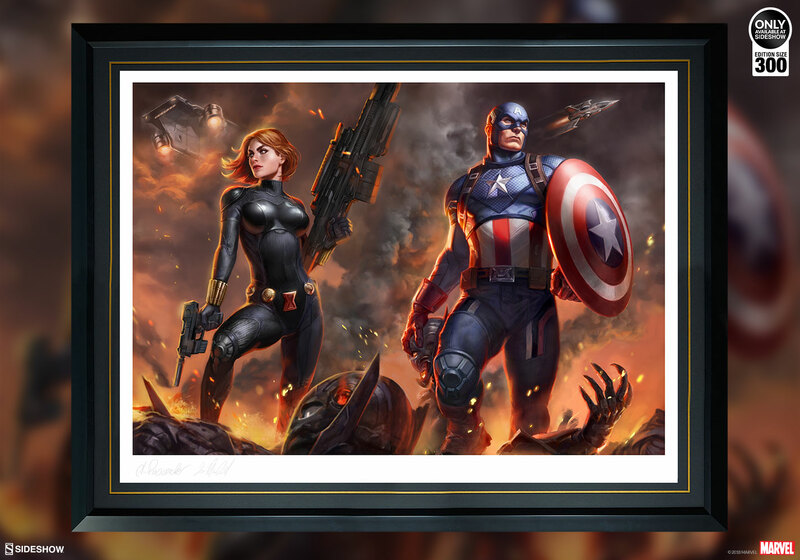 The Captain America and Black Widow Premium Art Print features the two tactical Avengers teamed triumphantly against Ultron’s disassembled armies. 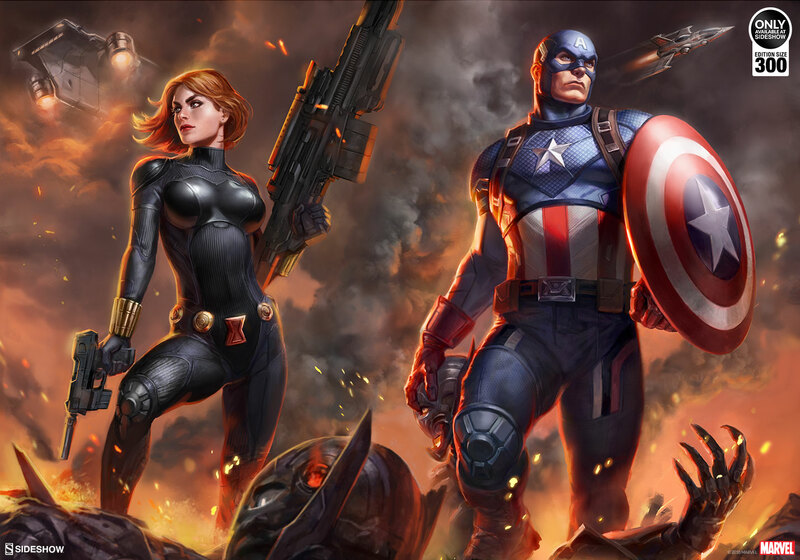 The star-spangled super soldier Captain America holds his shield high as Black Widow, the deadly assassin, stands with guns at the ready. 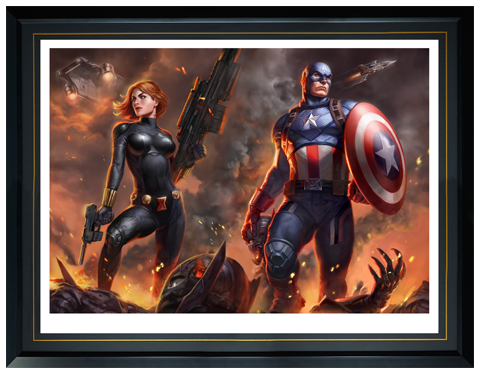 The iconic SHIELD Helicarrier and a Quinjet fly high in the skies above each hero, ready to support them in the smoldering battlefield. 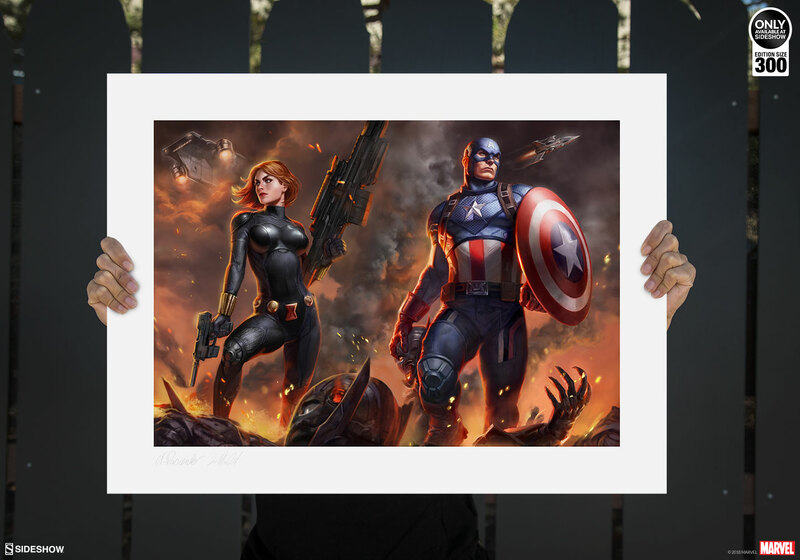 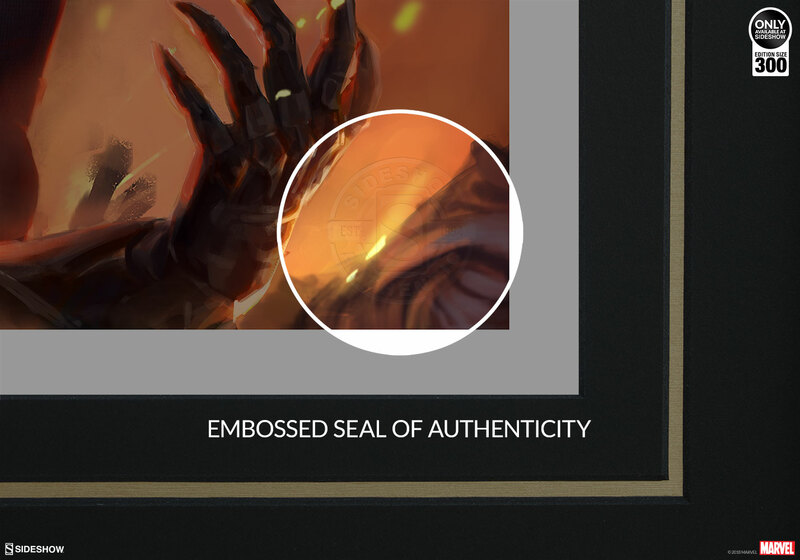 The Captain America and Black Widow Premium Art Print is limited to an edition size of 300 pieces. 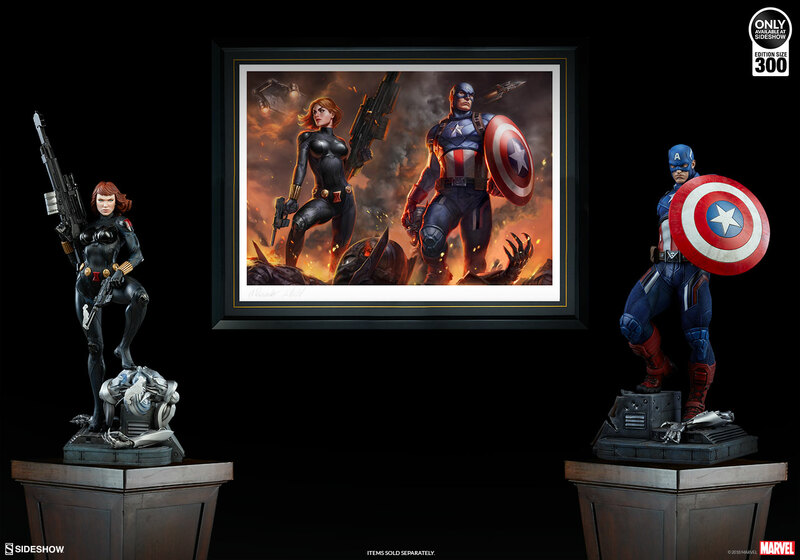 Pair this print with the upcoming Captain America and Black Widow Premium Format™ Figures to create a dynamic display for these fan-favorite Marvel heroes. 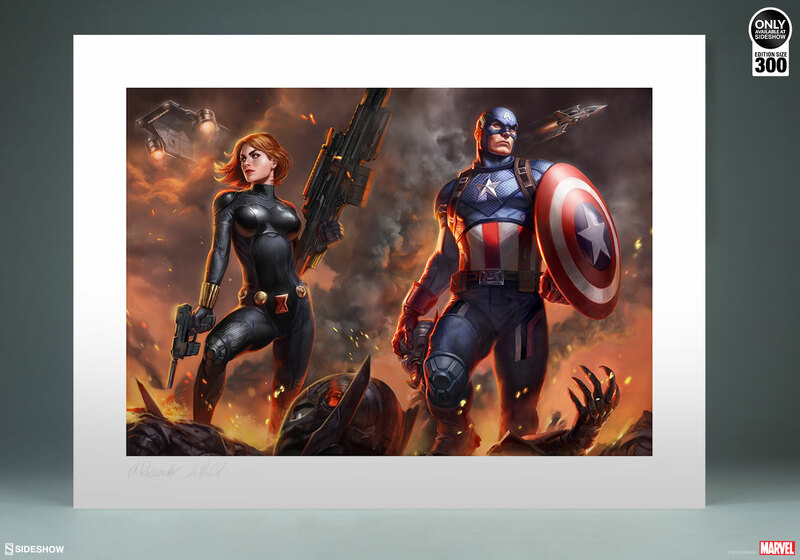 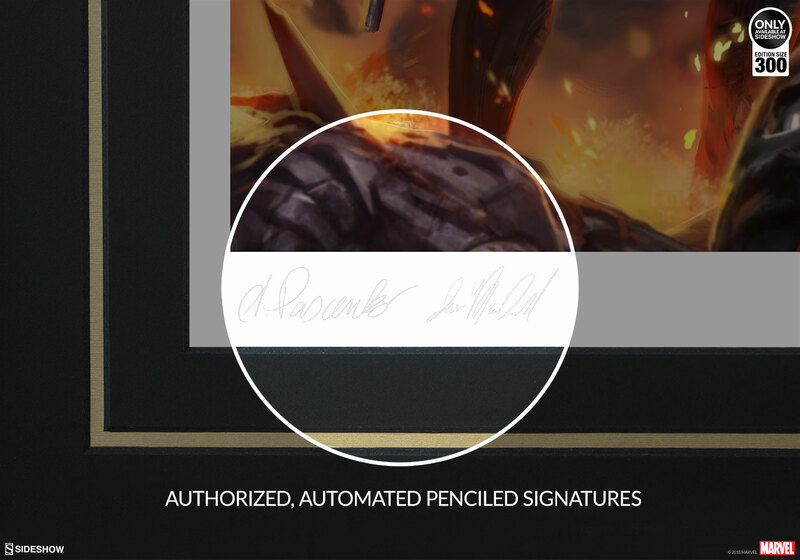 Unite against Ultron and add the Captain America and Black Widow Premium Art Print to your collection today!